I think it’s safe to assume that a good number of you have attended or at least heard about the fantastic annual Knit City events put on by the incredible Amanda and Fiona over at KnitSocial. Well, we’ve got some great news! 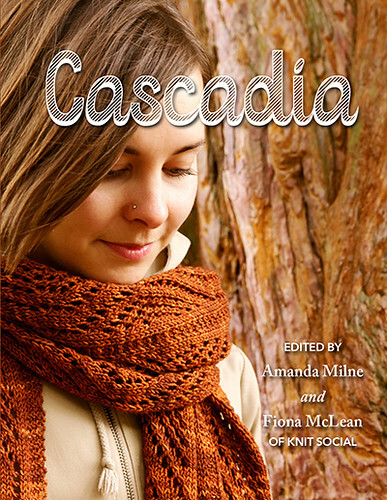 Amanda and Fiona are releasing their very first book, Cascadia, and we get to host a leg of their travelling trunk show! The book looks just gorgeous (you can see all the patterns over on Ravelry), and I think that Amanda and Fiona have done a brilliant job in sourcing patterns from some of the best local designers. There are designs from our once-own Alexa and Emily of Tin Can Knits (and Alexa contributed her photographic eye to shoot the book, and Amanda, as well as a grab-bag of other great minds. Now, we’re letting you know good an early so you can mark the date on your calendars. We’ll be hosting the trunk show on Saturday, February 8th from 11-2. There will be copies of the books for sale, samples of the patterns in the book to admire and try on, and we’ll also get some of the designers out for a meet-and-greet (and maybe even a book signing if you ask them nicely). Hopefully we’ll see you all there! (and don’t worry, we’ll be sure to send out plenty of reminders closer to the date) In the meantime, what’s your favourite design in the book? 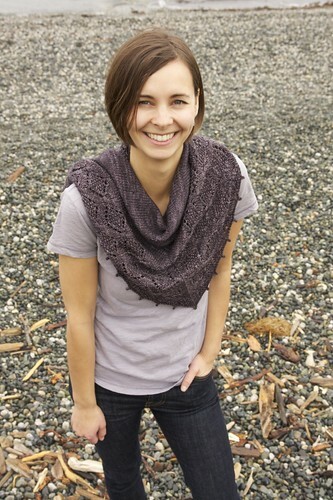 I’m quite partial to Judy Marples’ Raven’s Nest Shawl, myself. If you are like me you often start your new year off with a bang. You are ready to start new projects, learn new skills, and maybe you are determined to knit up some stash yarn. Well it’s the 12th, I’ve already fizzled a bit on my resolutions. But there’s still a lot of year left so let’s talk new projects! Is this the year you learn socks? If it is, I’ve got a yarn for you! Biscotte and Cie is a Canadian company and they make amazing self striping yarn. Even the simplest socks look amazing in the yarn, and the best part? You don’t have to do any of the color changes or weave in any ends, just whip up your first pair of socks. If socks feel daunting we have Q n A classes, Sock Bootcamps, or private lessons, all the support you need to finish up your first pair.